As sea levels rise, wealthy people can more easily afford to move to high ground. 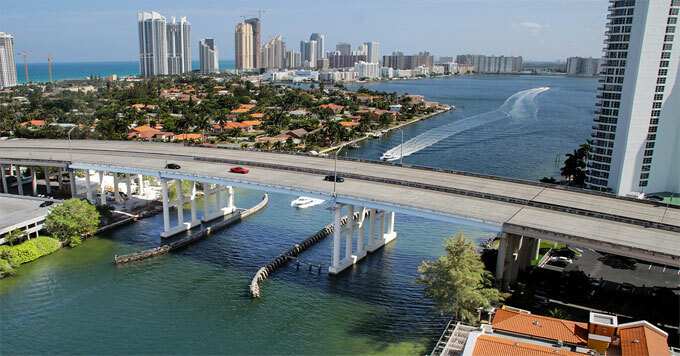 Just a few miles inland from the oceanfront condos of Miami Beach modest neighborhoods rest on slightly higher ground. Jesse Keenan of the Harvard Graduate School of Design says many of these areas have been home to low income communities for a long time. But that may be shifting. As sea levels rise and storms become more frequent, floodwaters damage coastal homes and cars. And property taxes in Miami Beach are going up, in part because of city projects to protect against storms and flooding. Keenan says these issues are prompting some beach residents to head for higher ground. He says rising property values in these gentrifying neighborhoods could force many low-income residents to move out. Climate change is just one factor affecting the Miami real estate market. But Keenan says its influence is growing. So as city officials respond to the changing climate, he says they should think not just about the beaches and coastal residents threatened by storms and flooding, but also about inland residents and how they will be affected.